Transformer Cooling Fans for Transformer Manufacturing Industry. 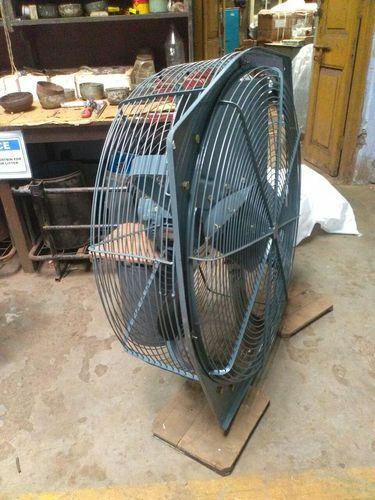 These fans are used to cool the transformers. Established in the year 1974, Aerocon Corporation has successfully ascertained a strong foothold in the leading Manufacturer, Exporter, and Trader of Man Cooler Fan, Commercial Fan, Roof Extractor Unit, TEFC Motor, Air Ventilator and many more products. We have been following a system driven and performance oriented approach, we have developed sound financial and production capabilities to efficiently serve the market. We have garnered respect from all quarters for ethical business practices, innovation-driven approach and astute handling of clients. Our products are highly appreciated and are in demand in the market. Moreover, our Exhaust Fans are ISI marked.